(KTLA) -- A video shared on social media this week shows a rat running around the counter of an Original Tommy’s Hamburgers restaurant in Long Beach, but health officials said the restaurant will stay open. 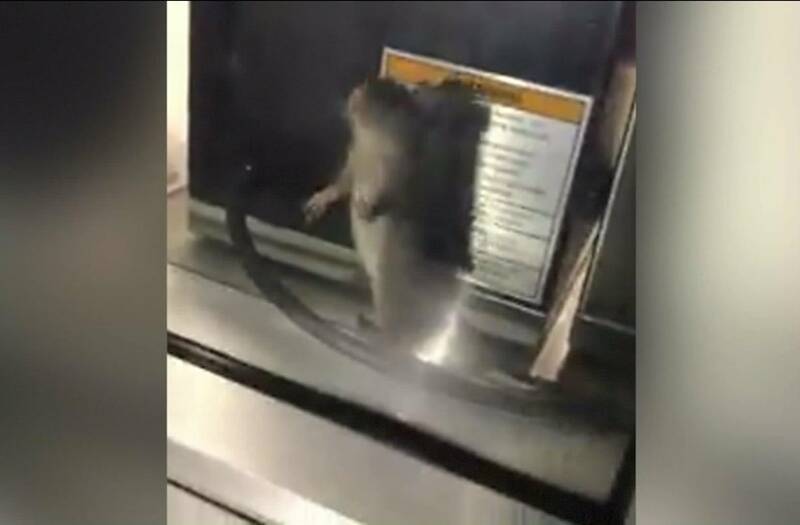 The video, posted on Facebook early Wednesday by Estilo Juan Estrada, shows the rat scurrying past chili containers and climbing a health department inspection compliance sign. Estrada, who recorded the video through the window after returning to his car from nearby 7-Eleven, said he will not be going back to the Anaheim Street location. He said he felt "creeped out," "disgusted" and disappointed by the incident. A video shared on social media this week shows a rat running around the counter of a restaurant, but health officials said the restaurant will stay open. The Long Beach Health Department followed up with an inspection Thursday and determined that there was no evidence of rodents or rodent droppings. "This could happen to virtually any restaurant,” Nelson Kerr of the Long Beach Health Department told KTLA. Corporate officials said the restaurant has an A-rating and will stay open because of its clean record. Plenty of patrons were seen enjoying a meal at the restaurant Thursday, including Tom Russell, who has just finished dinner when he was shown the video. Amber Block, who lives nearby, said she was disgusted by the video and said she had stopped eating there a long time ago. “I don't understand how people can still eat it,” Block said. Tommy’s released a statement that said they take great pride in maintaining a high standard of cleanliness and that a professional pest control company comes out once a month for prevention purposes. They also questioned the authenticity of the video. Estrada assures the video, which has been viewed over 1 million times on Facebook, is real. "I have no reason to lie," he said.